I’m convinced that bats are one of the most misunderstood creatures of our time. 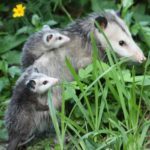 People either love them (“Oh, they’re so cute!”) or they fear them (“Oh, they have rabies!”), and I ran across an online post from my own DC neighborhood that confirms my theory. As I’m no expert on bats (I fall under the “Oh, they’re so cute!” category), I’ve asked the National Wildlife Federation’s Naturalist David Mizejewski to shine some light (no pun intended) on these fascinating, flying friends. 1) Should we be alarmed to see bats in our neighborhoods? David: There are several species of bats common to the DC area so this sighting is not anything to be alarmed about. Bats play an important role in the ecosystem by preying on insects, some of which are pests (beetles and moths in particular, and also to some degree mosquitoes). 2) But what about seeing a bat during the daytime? David: Bats are indeed nocturnal but just seeing one in daytime doesn’t mean anything is wrong with it. 3) What should we do if we see a bat in the daytime? David:The rule of thumb when encountering any wild animal, at any time of the day, applies here: it’s ok to watch and appreciate, but never approach or try to handle it –let wildlife be wild. If you follow this rule, you’ll never have a dangerous encounter with wildlife. David: If you see clear signs of illness such as erratic movement, loss of fear of humans, aggression, mouth foaming, etc. leave the area and report it to animal control. 5) How can we help bats? David: Bats can use all the help we can give them. We’ve trashed their habitat, and now an epidemic called White Nose Syndrome has wiped out about 6 million bats in just the last few years. One easy way to help bats in your neighborhood is by putting up a bat box. So regardless of what side of the “batty” spectrum you’re on– love them or fear them–you can become an animal ambassador by educating others on how to help protect bats (and yourself) if one ever lands itself on your window. Because as much as we all wish that bats were vampires (like those in the HBO series TrueBlood), bats are simple yet important creatures–and at the end of the day, merely misunderstood.